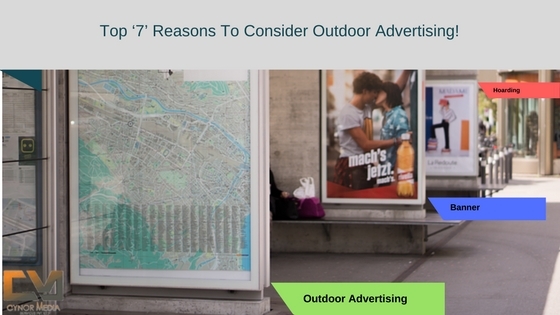 Home / Business / Top ‘7’ Reasons To Consider Outdoor Advertising! Marketing your product effectively has become one of the most important steps of business today. If you don’t advertise your product or specific service properly, then maybe you won’t able to get a positive response for the same as you have expected. Coming to Outdoor Advertising, it has become a trending subject among different type of media marketing. Compared to other forms of media like printing, radio, television, etc. ; there are a number of benefits of this. Here we are discussing some of the merits of outdoor advertising or out-of-home advertising which will help you to market your product within the budget. One of the most basic benefits of outdoor advertising is that you get complete market coverage. Within a course of 4 weeks or less, your ad will likely to be seen from every corner. 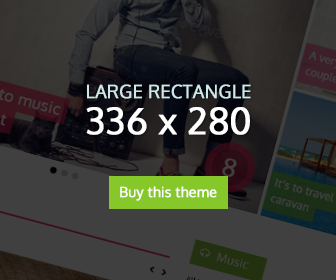 This ultimate increase the value of your product and give it a recognizable status. Outdoor advertising provides you a way to market your product among people of every age, size, level, etc. And the most amazing part is that they don’t have the option to change it which they can easily do while watching an advertisement on a TV or listening to the same on a radio. If you target an area where there is more traffic, you will get even better results. According to the general rule of advertisement, a customer needs to watch a thing at least 8 to 10 times a day before they take a call to action. Through billboards, bus shelters transit advertising, etc. along with other digital, print and radio stuff; companies try to market their product in the best possible way, making it reach an entire region. Through the help of transit advertising, you can very conveniently drive up brand awareness and recognition. There is also an option of low budget mobile Billboard which helps in reaching a broad segment of the population with an eye-popping message. This is the fact that people see billboard banners in the morning, noon, evening, and at night too. This can give you a greater coverage and make you target areas with a confined geographical radius. There is no better way to grab the attention than by advertising on a billboard or Hoarding along a major roadway. And most important, these will remain always on, like for 24/7. Talking about the cost, outdoor marketing stands out. This is one of the cheapest ways to market a product or service. For an instant, the cost of thousand impressions against the advertisement charges of media is very low. This is one of the best ways to target huge traffic at such a low rate. As compare to television, radio or other forms of advertisements, Outdoor Advertising offers advertisers the chance to reach the audience with an exclusive message. Summing up, to enhance your brand value within a decent budget, there is none other option available than outdoor advertising. Majority of the travelers make buy decisions at some outside location away from their home. So what’s better than giving them a push through your billboard banners!